Transaction Broker or Sellers Agent? 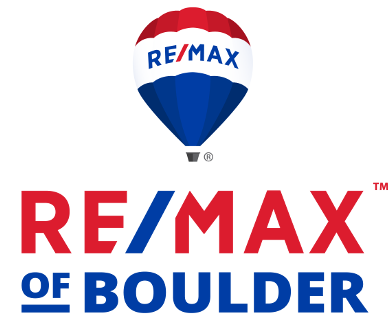 In Colorado when you sell property with a real estate broker you have a choice between working with them as a Transaction Broker or a Seller’s Agent. Think of a Transaction Broker as a facilitator, someone who can take you through the entire transaction, but who cannot not advise you based on their knowledge and experience. Notice that they are a “broker”, not an agent. A Seller’s Agent on the other hand is just that, and promotes your interests with the fiduciary duties of utmost good faith, loyalty and fidelity. Those are the legal duties of an agent for their principal. I literally place your needs above my own. I act as your advocate, advising you of the benefits and risks of the transaction as you go along, and negotiate only for you. This is how I work with my clients. 3 things you’re depending on me to market your property. 1st is an extensive and unvarnished statistically based Master Market Analysis (MMA) of the present market in your neighborhood and how your unique property fits in. This is your house after all, not the trade-in value of your car. 2nd is to partner with you to structure an intelligent, imaginative and broad-ranging marketing approach designed to lift your property above the crowd. There are a lot of zebras in the vast heard of home listings. My approach illustrates your home in Hi Def with Technicolor stripes. 3rd is to help you negotiate with a buyer. More than likely they’re walking in assuming your home is overpriced and they’re looking for a sizable discount. We present them with the market data in the MMA which demonstrates the objective value of your unique property based on its unique qualities. We’ll help them understand the real market and the true value of your home. On the web there are innumerable sites touting “true” real estate property values. I’ve been watching as buyers have increasingly employed these sites and come to believe they are better informed on the value of homes than sellers. Well, maybe. But probably not. While these sites are very good at compiling tax assessor record data, they cannot account for the two most important factors of value: location and condition. Actually, location-location-location and condition. Maybe they were texting in class when this came up in Business 101. I take an average of three to four hours to prepare an extensive statistical value analysis of unusual depth and detail. The resulting Master Marketing Analysis (MMA) is a snapshot in time of the objective data of your market. The one-of-a-kind features and traits of your home are carefully weighted and taken into consideration. The MMA illustrates the details of every sold home, the competing homes on the market buyers will be considering when they see yours, and those properties that failed to sell. My philosophy is to assist my clients in extracting every dollar out of their home. Instead of following the herd and purposefully over-pricing your home in anticipation of a low offer, together we’ll construct a pricing and marketing strategy that builds value in your property and fuels buyers’ interest. Capitalizing on your over-priced competition slips your property to the head of the class. Skepticism turns to surprise as buyers are caught off guard; your price reflects a clearly better value! Suddenly they’re concerned other buyers will also notice. It’s difficult and not very productive work chasing butterflies with a net, but with the right approach, you can attract them to land in your hand. When a buyer makes an offer the MMA becomes an invaluable tool in maximizing your proceeds; graphically demonstrating the objective market facts including location and condition which validate your value, nullifying any subjective opinions they may harbor illusions, or numbers plunked-out by those valuation websites. In this digital age buyers are doing their initial level of sorting properties online. If you’ve done this yourself you know it’s brutal and quick. My objective is to stop their mouse in its tracks. Over nearly two decades I’ve perfected a marketing approach that that lifts my client’s properties above the crowd. It’s designed to target the intellect and kindle emotions. The essential character and attributes of your home are captured in evocative copy married with compelling professional images. When I write about a property, I strive to impart the intangible elements of its qualities and attributes. Bedrooms, baths and square footage can be found in the stats section. If the head qualifies a house, it’s the heart that buys it. Left behind are the worn out real estate clichés (Stunning!!!) and disingenuous claims (Hurry! This one will go quickly!). And exclamation points. Those are just plain old zebras; indistinguishable in the crowd. There is perhaps nothing is more important to a buyer qualifying houses online than truly superb photography. As a former professional photographer I have a deep and perceptive grasp of the impact of an image: aim for the heart. I utilize the top specialized photo services to create the powerful first impression on a buyer possible. Every shoot is tailored to the individual property with state of the art HDR, 3D tours and both still and video aerial drone views. Only the best. Unlike most agents I spend a lot more money to market my properties everywhere buyers may be looking. If 89% of buyers are searching for properties on the internet (National Association of Realtors, 2010), it only helps if your property is everywhere on the internet. On the top websites I pay for the “premium” enhanced format. That includes full property descriptions, at least 25 photographs, and a virtual tour. Buyers also drive the neighborhood where they would like to live and I meet them with superbly crafted flyers. Links for mobile devices to the full suite of information on your home are also on my customized signs. A strong negotiating position is built on a foundation of solid information and knowledge and information on the position and motivations of the party on the other side. The Master Marketing Analysis of your property is your greatest negotiating asset, backed by intelligence gathered on the buyer’s position and motivations gleaned from their actions and from their agent. Together these give your position a strong and compelling voice, honed by my years of a vast range of negotiating experiences. Special circumstances require creative tactics, and something as mundane as brown M&Ms can make the difference. It’s an interesting story, way out of the box, and it saved a transaction. When your property is under contract I’ll go to work keeping the transaction on track to assure contingency dates and times are met, and address any “fires” that may spring up. I’ll guide you through the various provisions and contingencies of the contract right up through the closing. And any other issues and challenges that may arise during this period. Even after you’ve sold your home I’ll be close by. I’m there to handle any hitches, and also for you to draw on innumerable and dependable resources and relationships I’ve cultured over the years. If you’re making a move out of the area I can pre-interview real estate agents in to help to find a true professional like myself. My goal is that any time you need, you can look out the window and see that knight on his steed, ready to serve.